TAKING SMALL DAILY ACTIONS TO TURN YOUR ENTIRE LIFE AROUND AND INCREASE YOUR CONFIDENCE. We all want more confidence, right? But how do we go about accomplishing that? 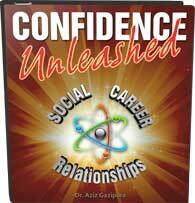 How do we develop the kind of confidence that quickly and effectively changes the quality of our lives in every way? If you’re ready to take this leap forward, the complete transformation that you seek may be more readily available than you think! So, what does confidence transformation really look like? Most of us have this fantasy that we’re going to wake up one day having instantly arrived at this massive shift in our confidence. While that sounds lovely, it’s unfortunately not how it works. Now, I’ve had the benefit of working on this shift with literally thousands of people over the years, and from this unique vantage point, I can tell you assuredly: the actual transformation only comes with hard work and the development of small, consistent habits. Often, I’ll have clients come to me talking about how they’ve read one of my books or watched my videos, but the truth is that information alone is not enough—you must also put that knowledge into active practice. You can’t just sit back and wait for the transformation to happen. While gaining knowledge is usually the first step to any journey (even a road trip can’t start without a map), too much of it can sometimes lead to information overload. To offset that imbalance of knowledge versus understanding, one must involve practice. The path forward isn’t a concrete slab—it’s more like a paved walkway, and without all of the pavers, you’ll just be standing in the mud. Think of it this way: confidence is a skill. Just like any skill, to develop it, you must collect the knowledge, apply that knowledge, vigilantly practice your learning, and gradually change your mindset and physical habits (or muscle memory). Just about everyone on the planet has learned at one time or another that there is no way to learn a skill instantaneously. Even people who are born with a natural skill, like singing, practice that skill for their entire lives to keep it sharp and develop it to the fullest extent of its potential. Hence, when it comes to confidence transformation, it’s not about spending a certain number of hours studying: it’s about developing a consistent practice that you can commit to, even if that commitment is only 3-5 minutes per day. Let’s take, for example, a man who feels inadequate when it comes to approaching new people. What could he do that would involve a small daily commitment to developing his ability and confidence in this area? To start with, if he drives to work, he could purposely park a few blocks away and commit to saying “Hello” to every single person he passes on his walk into the office. If he did that every single day for a month, rain or shine, regardless of whether the other people ignored him, he would come out on the other side more confident in his power to address people, more secure in his ability to make eye contact with strangers, and far less terrified of rejection or the idea that someone might not respond the way he’s expecting. This small commitment to action (15 minutes/week) is more valuable than any amount of reading you could do in a lifetime. When we commit to action and consistent habits, not only are we breaking down the walls we’ve built to support our comfort zone, but we are also getting valuable, real-time feedback on our confidence practice. Another benefit to action is that it only fuels and facilitates further action. Think about it: after three weeks, the practice of merely saying “Hi” to everyone you pass is going to start to feel boring and easy, and you’re going to want to push that comfort zone further. Maybe you’ll feel confident enough to throw a few compliments in there; maybe you’ll even start up a conversation with someone. Everything that once seemed unfathomable to you will now be far more accessible than it would be for the person who’s just sitting at home reading up and watching videos. Daily habit formation is the secret sauce that makes complete transformation possible. In terms of initiating this practice, the options are endless and completely dependent upon the area you want to develop. If you feel like you need more guidance, you’ll receive that and a lot more in my programs, like Confidence Unleashed and 30 Days to Dating Mastery. These are excellent resources full of support and community engagement that allow you to harness the power of your confidence faster than you ever imagined possible. In the meantime, however, the key is to commit to one small practice that can be done in 3-5 minutes per day, 5-7 days per week, for one solid month. The best part of this strategy: there are no excuses. The time commitment is minimal, the options are endless, and the limitations are solely in your mind. Get creative and take advantage of whatever resources are at your disposal. The only thing you can’t do is nothing—that’s just another form of avoidance. Remember: you can’t just wait around expecting this transformation to happen on its own. While that might sound like bad news at first, it’s actually the best news in the world: you are the one in control of your own destiny—not some unknown entity that might never deliver. Decide right now that you have the power to change your own life and commit to that one daily habit. 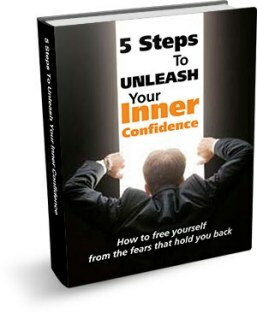 At the end of thirty days, you’ll well on your way to transforming your confidence and your entire life as a result. As always, I invite you to share, “like,” and subscribe using the available links. Also, please share your thoughts and experiences with this practice below: What is the one area of life you would most like to work on? What daily act could you engage in to turn that pattern around? We’re all here to support each other and learn, so please stay engaged with this online community and offer up your own wisdom wherever possible!